i.e. while the cells display 1.30 bar ( the setpoint) - the actual PO2, measured on a calibrated fast response external analyser, is in fact 1.25 bar. Although undesirable, this trait is repeatable and reliable and so is easily compensated for… simply by reducing the High Gradient factor by 5. If you use 90 normally – use 85; if you use 85 normally – use 80 etc. It is quite in order to use a mixture of the two types of cell, APD14 and APD16, but please bear in mind the dominant two will determine whether you need to adjust the GF high or not. i.e. 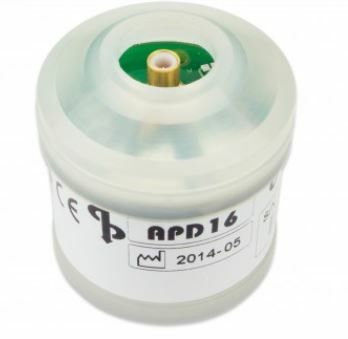 if you have two APD14s and one APD16 then you wouldn’t need to make the GF high adjustment.